Justin Robinson, NSW Regional Hydrology Manager BoM, will present details of The Bureau of Meteorology’s next-generation Hydrological Forecasting System (HyFS), a real-time hydrological forecasting system. Costs: Free for EA members and BoM employees. Otherwise $30. The Bureau of Meteorology’s next-generation Hydrological Forecasting System (HyFS) is a world-class numerical modelling environment, tailored to meet the stringent demands of real-time hydrological forecasting. HyFS provides unprecedented automation of live data and powerful predictive capability to the Bureau of Meteorology’s Flood Forecasting and Warning (FFW) Service. The software integrates within the single application, the data analysis and visualisation functions that were previously undertaken using a range of tools and web interfaces. The integration of rainfall, ocean and tide forecasts with river and flood forecasting models allows forecasters to improve the lead time and accuracy of flood watch and warning services. Every user interface within the system was crafted by forecasters, for forecasters. The interfaces provide intuitive views of the Bureau’s extensive observational and forecast data so, in real time, evolving flood emergencies can be rapidly assessed and accurately modelled and forecasted. In operation since December 2015, HyFS has not only introduced major advances in the analysis, integration, processing and visualisation of rainfall and hydrological data for flood forecasters, but also importantly enables more robust operations during floods around Australia. 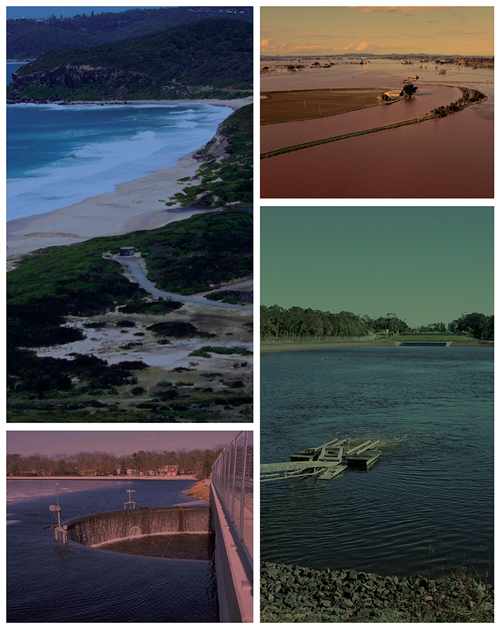 Implementation of HyFS as a centralised system, with active disaster recovery and accessible from any office, has allowed the Bureau to better resource Flood Warning Centre operations during floods. During small flood events forecasters can cover multiple States and Territories from a single location. During large events the Bureau can use available forecasters in any office in Australia for extra surge capacity. The increased digital sophistication that HyFS brings to the FFW Service importantly provides capacity to unlock value from the Bureau’s wealth of research and data, to further develop the quality, range, accuracy and timeliness of flood warnings and streamflow forecasting. Justin Robinson has 15 years’ experience with the Bureau of Meteorology as an operational flood forecaster in New South Wales. He completed his Bachelor and Masters Degrees in Engineering at the University of Western Australia specialising in hydrology. He has been in the role of Bureau’s NSW Regional Hydrology Manager since the retirement of long-standing manager, Gordon McKay in December 2015. One of Justin’s key contributions has been the implementation of the Bureau’s next-generation Hydrological Forecasting System (HyFS), which became fully operational in December 2015. HyFS provides unprecedented automation of live data and powerful predictive capability to the Bureau of Meteorology’s Flood Forecasting and Warning (FFW) Service. For his role in leading the HyFS project, Justin received the Bureau’s annual Australia Day Achievement Medallion. A printable PDF flyer is available for distribution.